...... I was given this old photograph to-day to copy for the Forum, as the owner thought it would be of interest to those of you with North end family connections. 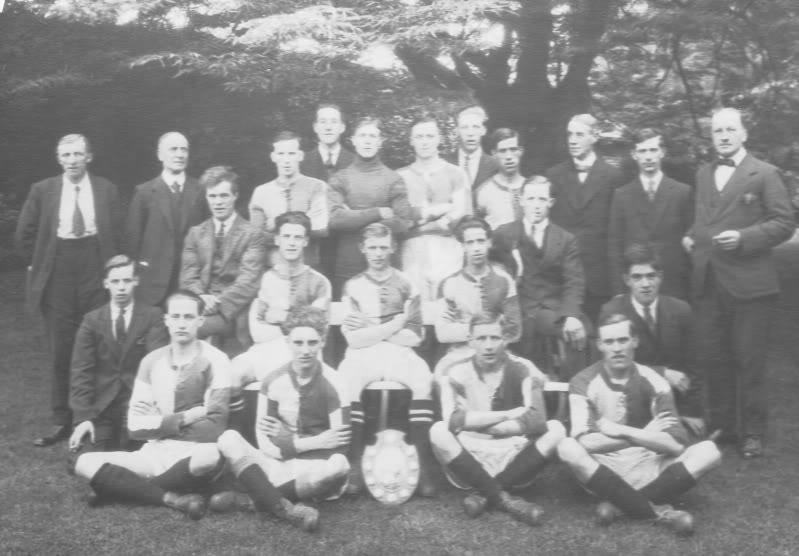 It shows the North end United Football team, winners of the Cawston Shield 1924-5. The only names I know are from my own family, they are. Back row (standing) seventh from the left, Reg (Waka) Watts, he worked on the docks for many years. Middle row, Bill Rose (kneeling) he worked for Wagg & Jex as a Forman brick layer, next (sitting) Arthur Shares ? next, Tom Rose he moved to Coventry in the 1930s and in the middle Jasper Guy, fisherman and boat owner in later life. If anyone could add any more names I would appreciate it.